By Robin Wauters , January 19th, 2016. Silicon Allee, the Berlin-based tech blog turned ‘voice of the community’, has been acquired by Factory. To be clear, this particular Factory is not the same as Factory Berlin, though it also involves people who were previously with the latter (including CEO Simon Schaefer and Jeremy Bamberg). But that’s an entirely different – and long – story for a different day. 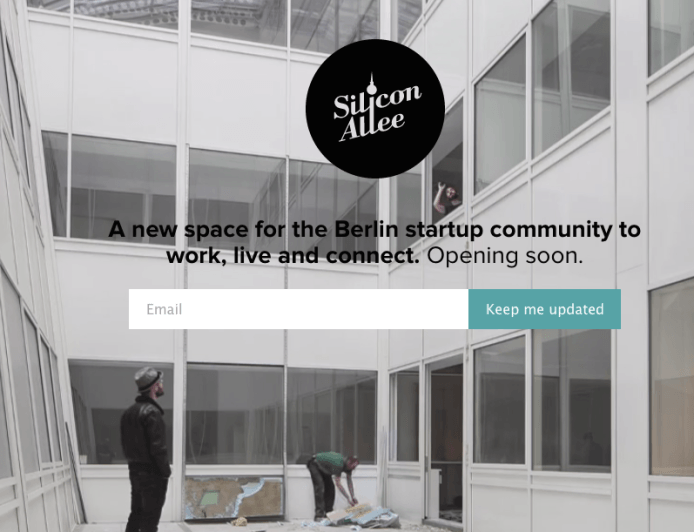 Started in 2011 by Schuyler Deerman and Travis J. Todd, Silicon Allee was a way for its founders to self-reportedly “instil a bit of the American startup mentality into the nascent Berlin tech scene“. The name itself was an ‘ironic joke’, but it has since become an unintended pseudonym for the Berlin startup scene in the media and beyond (even I’ve used it in the past). Silicon Allee was part English-language tech publication, part event organiser, and part, well, other things. Now, it will become part of Factory, which has as its aim to build a network of spaces to support entrepreneurs and foster innovation across Europe. Coincidentally, Factory founder Schaefer was also the first angel investor in Silicon Allee, and they were one of the first tenants of Factory Berlin when it (finally) opened in June 2014. Initially, there will be a 7,000 sq. meter, six-story building with a shared office and living space in Berlin Mitte, but Travis will lead internationalisation at Factory, which means we can expect more locations to be announced in the coming months. For the record, Travis already worked for Factory, so this is a natural hookup if I’ve ever seen one. Terms of the acquisition were not disclosed, but we gather the amount is ‘around 6 figures’.